It’s difficult to predict the future, but we can certainly discern the present: Change is rampant in sports media. Game coverage, for example, has changed dramatically during the past several years and athletes now regularly bypass sports reporters through social media. So, as educators, we should also adapt to properly prepare the next generation of journalists. I’ve always revised my classes, but never more so than for the Fall 2014 semester when I plan to require students to report across several platforms, to use new approaches to event coverage, and to dive even deeper into public documents, a traditional method that can help student-journalists counter diminishing access to athletes and coaches. Here are some ways we can prepare students. Event coverage. Ask students to report across several media platforms and to write several versions of their stories. Assign them to cover a soccer match or a cross-country race, for instance, where students will be expected to tweet updates (with some photos) during these events, then file a short story within 15 minutes of the game’s conclusion, followed by a longer story with quotes after they interview key athletes/coaches (preferably from both teams). Later that day, students could then file a feature-angle game story. Ideally, students could also produce a short podcast that offers key details and analysis. Students must regularly practice all of these skills in order to be prepared to work professionally, regardless if they’ll cover pros or preps. Limited access. Athletes and league officials have been using social and digital media to bypass journalists for several years, talking directly to fans through Twitter, Facebook, and YouTube. Athletic department websites, meanwhile, are now the biggest competitor to college student media, putting students in an awkward situation of competing with their own sources. We need to give students tools to overcome this challenge. For example, ask students to regularly follow athletes and coaches on social media to find a news angle or to supplement a news, feature or profile story. In addition, teach sports journalists to work more diligently to develop relationships by attending practices, by stopping by the SID’s office, by scheduling regular meetings with coaches, and by chatting with athletes as they walk to and from their lockers. As John Feinstein points out, limited access is not good for sports or fans; however, this trend won’t change course anytime soon. Sabermetrics can yield more insights into athletic performances than observations or comments from coaches or players. These stats are now an essential part of reporting, although baseball writers probably rely on these metrics the most. Teach students everything from the basics of Wins Against Replacement (WAR), Walks and Hits per innings (WHIP) to Batting Average on Balls In Play (BABIP). Read the following to learn more how to use sabermetrics – FanGraphs, Beyond the Boxscore, SABR, whose defensive index is now used to determine MLB’s Gold Glove Awards, Baseball Prospectus, and Hardball Times. Plus, check out these pieces on basketball metrics and on five new hoops stats. By the way, you can get stats and analysis of NFL referees and MLB umpires. Scorecasting and Moneyball reveal the impact new stat metrics have, or could have, on sports. Ultimately, require students to use sabermetrics for blog posts and/or stories. Many sports stories, like this one in Sports Illustrated, read more like essays than traditional articles. Editing skills. Sports journalists need to write more clearly, cleanly, and accurately because fewer editors, if any, will review published pieces, which is a terrifying trend. That means editing/proofreading skills need to be an essential component in any writing assignment. A single letter can lead to errors such as this that horrified journalists (even if some readers guffawed). So grade a little more harshly in this area, explaining that you’re just trying to save them from embarrassment down the line. Embed relevant links to give all stories more credibility and more depth. In a story about Johnny Manziel, Will Leitch uses links to illustrate points, offer examples, and credit other news sources. Read this to learn some guidelines. Fantasy Sports generate billions of dollars and attract more than 25 million players each year just for football. As a result, fantasy coverage is as essential as any other sports beat. Some of the best football analysis emerges from fantasy beat writers, such as Matthew Berry, who mixes in personal anecdotes and reporting. Take this piece, for example, where Berry begins a lengthy column by describing moments where he realized he had become a celebrity (at least with fantasy sports owners.) Imagine, he says, how much harder life is for Johnny Manziel. This introduction would be solid enough to run as a stand-alone piece for many writers; however, Berry continues with a section that offers a breakdown on numerous NFL players who should yield the best return on investment this season. Adrian Peterson, for example, is going to be far more active as a receiver, Berry learned from conversations he had with both the Vikings coach and general manager. DeSean Jackson, though, probably won’t score nearly as frequently, based upon an analysis of career stats. Berry, by the way, has won an Emmy for his online fantasy sports show. Fantasy sports coverage continues to grow, keeping pace with an industry that expands annually by double digits. 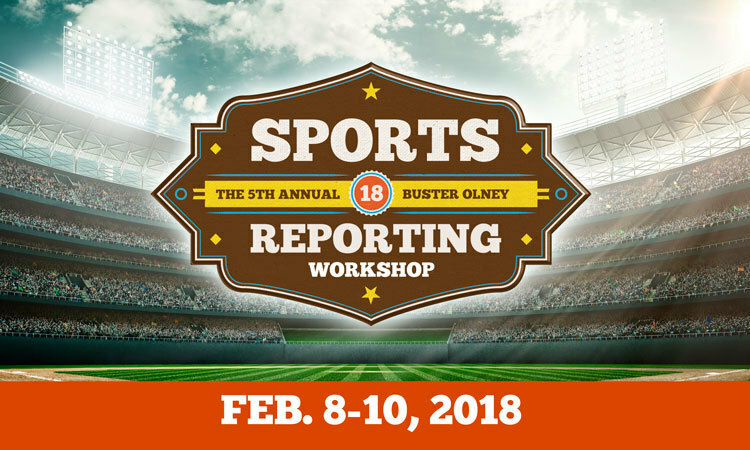 So review fantasy sports stories with students, check out the Fantasy Sports Writers Association, and maybe even create a league for your classes. I am. Sports Illustrated regularly includes digital bonus elements. More video/audio. YouTube stars are more recognizable to U.S. teens than Hollywood actors and music artists, illustrating the power of the Internet and video. As sports journalists, we need to consider reporting using all media. Yes, leagues such as the NFL impose limits on video footage, but for college, high school and amateur events, you can post as much video as you prefer. USA Today recently posted this video on a French sprinter who astonished everyone by rallying to pull her 4×400 team to victory with a spectacular final 200 meters. In addition, USA Today created some graphic elements to help tell the story. Sports Illustrated also regularly includes digital bonus elements that are available on iPads/Kindles/Nooks and online. Public documents are essential during a time when sports information directors circle the proverbial wagons when anything negative appears and athletic directors try to control coverage. Public records may be the only way to learn more about your college’s athletics program. Ask students to obtain and analyze copies of documents related to your college’s athletics budget. Sports reporters need to understand, and employ, FOIA requests to more fully report on a multitude of beats. Sports is no longer a trivial activity played on a small field. Students should look for trends, surprises and comparisons. These Yahoo! reporters relied on texts, bank statements, and flight receipts to learn that several Southeastern Conference players violated NCAA rules by accepting financial payments. The Orange County Register, meanwhile, used sworn depositions, police reports, memos, letters and emails to report on inappropriate behavior by a youth swim coach. Finally, don’t read only the so-called mainstream sports media. Check out sports websites such as The Big Lead, Deadspin, SB Nation, and Sports on Earth. Plus, regularly read sports news on Twitter. (Crap, we haven’t even talked about mobile devices.) There are clearly more excellent sports news sites than time to read them all daily, which illustrates the growth in sports media. Let’s make sure we train our students to work for them. This entry was posted in Sports Media 101 and tagged college sports, sportswriting. Bookmark the permalink.